Spooky, spine-tingling fantasies by the author of Northern Lights: just right for frosty winter nights! 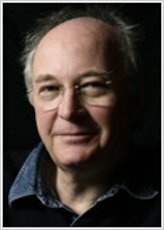 So – what does Philip Pullman do when he’s not penning epics like His Dark Materials, or signing copies of his books, or being interviewed for the papers? The answer is, he writes rather wonderful fairy tales. And here’s your chance to discover them! First there’s Clockwork: the dark gothic story of a German clockmaker with a sinister secret. Next up is I Was a Rat, set amid the murky backstreets of Victorian London. 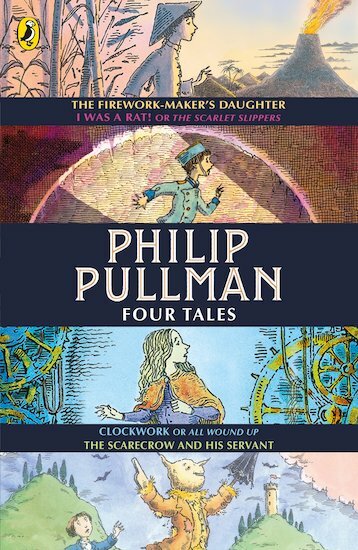 Then The Firework-Maker’s Daughter and The Scarecrow and His Servant: two dazzling quests full of adventure and colour. Simply magical stuff.